The general portal crane suitable for seaports, river ports, shipyards, power plants and heavy yard loading and unloading operations, can be coupled with a hook or grab operation, adaptable to cargo types, can be used for container handling operations. The portal crane made by our factory is very great, advanced technology, complete performance, reliable, good stability, high efficiency, long life, easy maintenance, meeting the large capacity, high efficiency and requirement of frequent job and so on . Product model for MQ type, lifting capacity is 2-40 tons, and we will design and manufacture it according to the customer site operating characteristics and performance requirements. After the depoist recieved, there will be a professional team tracking the order from produce to package and shipment. 3, One year warranty for whole machines; Low charge or even free for quick-wear parts. 5, Provide one-stop services, turnkey projects according to customer requirements. Our main products :gantry crane ,overhead crane ,portal crane,jib crane,tower crane,electric hoist ,winch lift platform,electric flat carriage and lifting accessories. 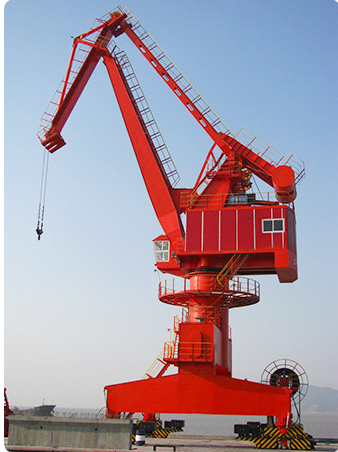 Henan Xingang Crane Equipment Co., Ltd is a professional company of exporting crane .we have a good cooperation with many manufacturing crane factories ,include the experienced engineers. 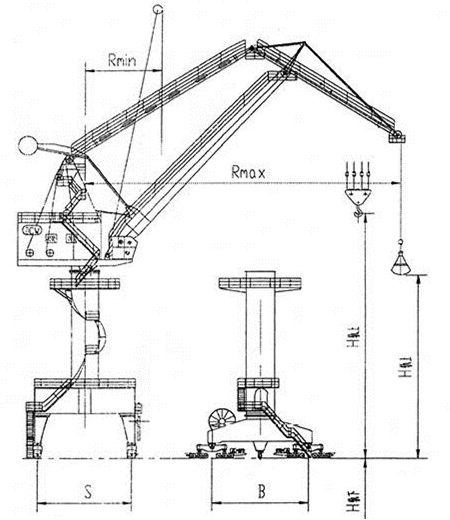 We not only sale all kinds of industrial cranes,but also provide technical consultation of all sorts of crane, We have a turnkey project for the client. We control quality from raw materials to finished product,and we will send technician to guide installation after client receives goods. we have been approved ISO9000 quality management system,and has made special equipment manufacturing license .operation processing is controled under ISO9000 quality management standard.and also experienced in applying advanced digtal technology,variable-frequency regulating speed technology ,remote operation,PLC control , automation to our products . At present ,We have exported to more countries, such as India ,Canada,Australia,Egypt ,Turky.Our exported products were highly praised from our clients. Continuously meet the demand of customers,the best solution for customers ,improve work efficiency and improve customer satisfaction is our management principle.we would like to supply the first-class product quality ,with our excellent service to meet your demand of the crane machinery ,sincerely hopeing to growth together with you ! 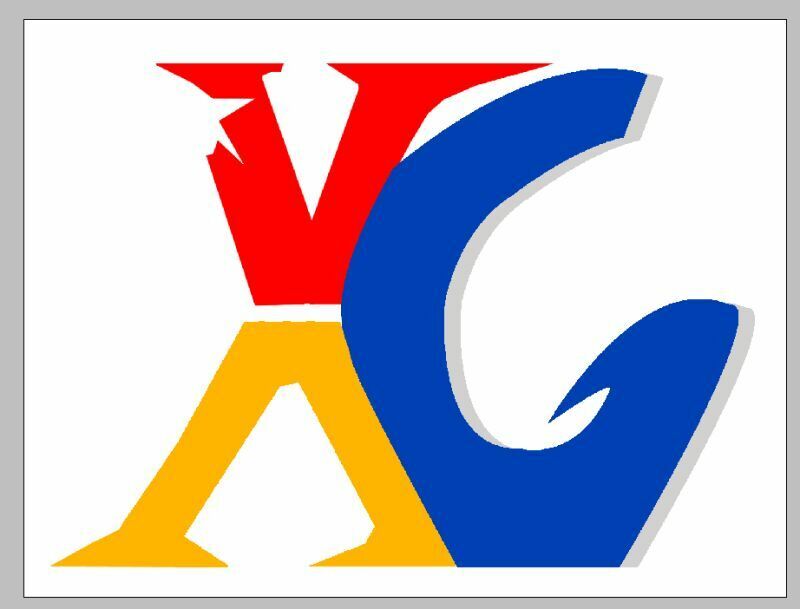 We are not only a factory ,but also a trading company with trade team for international service. 2. what is your lead time for your goods? Thanks for your question. Normally35 days after confirmed order. 20 days could be available for some items in sufficient stock and standard requirements, and 40 days during new year and peak season ( March to May). 3.What should I provide when inquiry? 4.How about the allocations of crane? Except crane main girder, we also provide crane drive, hoist, electric system as you required, special crane can be customized. 5. How many operating methods for my selection? 6. Can this type work in hazardous environment? In a word ,the more details the better . If you want to order our products ,Pls feel free to contact Jessie .Thanks a lot . 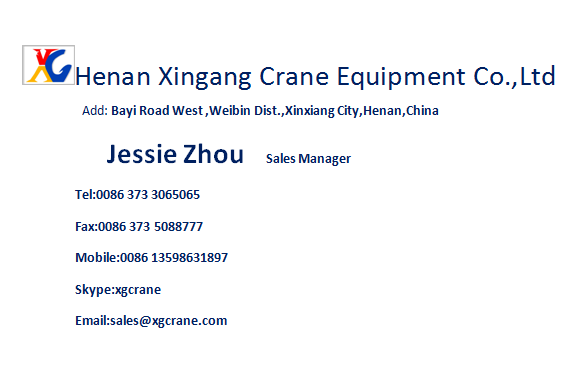 Henan Xingang Crane Equipment Co., Ltd.